Advection: The Forgotten Weather Factor. 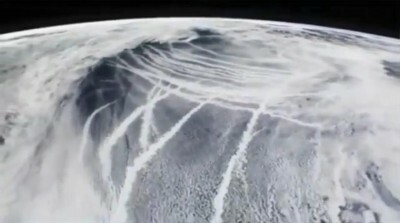 Failures of the Intergovernmental Panel on Climate Change (IPCC). The early Greeks had a better, more basic understanding of weather and climate than the people involved in the Intergovernmental Panel on Climate Change (IPCC). Indeed, the word climate derives from the Greek word klima, meaning inclination, referring to the climate conditions created by the angle of the Sun. They paid great attention to the wind, realizing its role in creating local, regional and seasonal conditions. 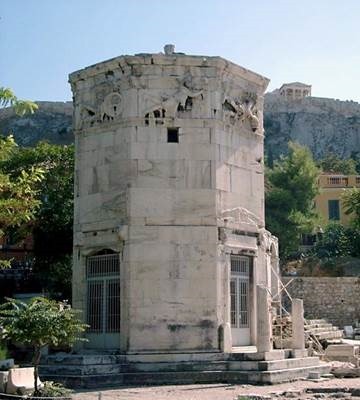 They even erected a tower to the wind in Athens (Figure 1) with sculptures representing each major compass direction. The Greeks focused on the more important horizontal movement of air, technically called advection or more commonly, wind. In the modern era people like C. W. Thornthwaite understood the role of wind as he considered, surface and air temperatures, insolation and wind speed, major factors affecting the potential for evaporation and evapotranspiration. More recently, Hans Jelbring’s 1998 doctoral thesis, Wind Controlled Climate was one of the few to draw attention to the critical role of wind. It is not possible to identify critical points in the complex system that is weather and climate, but that is what the IPCC was set up to do. 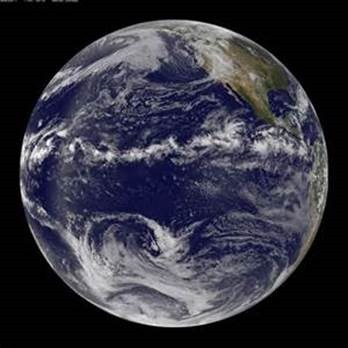 It began with the limited definition of climate change and continued with the selection of variables and mechanisms used in their computer models. It is possible to identify areas they omit that are critical to understanding, or at least make understanding impossible without their inclusion. Two of them are the phase changes of water and the related energy absorptions and releases involved, and the transport of that energy by the wind. The IPCC essentially consider only the vertical winds of convection, but by their admission do it inadequately. Convective cells are the major mechanism of vertical energy transfer from the surface to the atmosphere, especially in the tropics. Like so many individual portions of their models it is sufficient alone to explain why their predictions (projections) are consistently wrong. The region where the greatest transfer occurs is along the Inter Tropical Convergence Zone (ITCZ). A major part of the IPCC problem is that the convective cells created and visible as large cumulus clouds around the Equator (Figure 2) are too small to appear in the model grids. Modelers describe them as “sub-grid scale”. A bigger failure of IPCC analysis of weather and climate involves advection, the horizontal movement of air commonly known as wind. The basic physics is extremely problematic, but like everything else for the IPCC the lack of real data is an equally serious problem. Amount of wind data is as limited in space and time as all other weather variables. Averages have little value as it relates to the work done. A low average may include a few severe gusts that do more work and create extensive damage very quickly. Besides, wind at the weather station doesn’t represent conditions even a short distance away because the station is deliberately exposed. In any other location the season of the year and local features all modify conditions. A body of water will create onshore and offshore breezes almost daily. Wind direction and speed varies with seasons. The IPCC predictions (projections) are consistently wrong. When you read their Working Group I Physical Science Basis Report, it is easy to understand why. There is a multitude of limitations, omissions, and misrepresentations most of which on their own could explain the failed predictions. They cover this by creating the illusion of certainty in the Summary for Policymakers (SPM). There they fudge, cherry pick, omit, misrepresent and make unjustified speculations about data and evidence that doesn’t fit their agenda. These actions are necessitated by the constant push to prove their hypothesis. As Richard Lindzen said years ago, the consensus was reached before the research had even begun. From the beginning, evidence has constantly emerged, and almost all of it contradicts the assumptions made and reinforces a null hypothesis, which the IPCC never entertained. Instead, they create explanations that are later proved incorrect. Their claim of a positive feedback from water vapor in the climate sensitivity of CO2 problem is a good example. Failure to deal with water in all its phases is a serious limitation in every aspect of weather and climate studies, and the IPCC make it worse. Here is another example that involves water. The rate of evaporation and evapotranspiration has been declining in most parts of the world. This is in apparent contradiction to the IPCC theory that with global warming evaporation will increase. Here is how they try to explain it away in AR5. AR4 concluded that decreasing trends were found in records of pan evaporation over recent decades over the USA, India, Australia, New Zealand, China and Thailand and speculated on the causes including decreased surface solar radiation, sunshine duration, increased specific humidity and increased clouds. However, AR4 also reported that direct measurements of evapotranspiration over global land areas are scarce, and concluded that reanalysis evaporation fields are not reliable because they are not well constrained by precipitation and radiation. The most likely explanation is changing wind speed, but that is only listed in the summary. Three factors determine the rate of evaporation: temperature of the water, air temperature, and wind velocity. Simple basic research confirms that wind velocity is the most important. Without adequate wind data, chances of determining the flux accurately are very low. Unfortunately, the total surface heat and water fluxes are not well observed. Normally, they are inferred from observations of other fields, such as surface temperature and winds. Consequently, the uncertainty in the observational estimate is large – of the order of tens of watts per square metre for the heat flux, even in the zonal mean. Surface fluxes play a large part in determining the fidelity of ocean simulations. As noted in the AR4, large uncertainties in surface heat and fresh water flux observations (usually obtained indirectly) do not allow useful evaluation of models. The phrase “usually obtained indirectly” indicates a measure calculated from other variables and usually far removed from actual measures. Often they are estimates from another computer model, input into other models as if it is real data. In the case of a flux, it is a combination of variables that determine the rate of movement of gas or liquid across the interface between the water or land surface and the atmosphere. The accuracy of data and knowledge of mechanisms at this interface are critical in weather and climate studies. AR5 specifies the importance of the monsoons to forecast accuracy. High-fidelity simulation of the mean monsoon and its variability is of great importance for simulating future climate impacts. However, they also conclude in as obtuse a language as they can muster that the models don’t work. They claim better results than for AR4, but they still fail to simulate monsoons. These results provide robust evidence that CMIP5 models simulate more realistic monsoon climatology and variability than their CMIP3 predecessors, but they still suffer from biases in the representation of the monsoon domain and intensity leading to medium model quality at the global scale and declining quality at the regional scale. The early Greeks didn’t know about fluxes, or phase changes, but they knew about the importance of the sun and the wind in determining weather and climate. Based on their failed predictions the IPCC hasn’t made any advances on what they knew and understood. Aristotle’s student Theophrastus produced the first book On Weather Signs listing empirical observations used to forecast weather. Many are still used today. IPCC computer model forecasts have failed in less than 30 years.